The toys and collectibles market is incredibly lucrative. Worth over $20 billion a year, that’s a lot of action figures changing hands, especially among collectors on auction sites. If you’re looking to step into that ring, it’s important to plan out your strategy for shipping action figures. Simply sending them out with no protection will harm your reputation and bring a swift end to any profits or enjoyment for you. Here’s the 5 supplies—and 5 packing tips—you’ll need for shipping action figures safely and securely. Stay away from shipping action figures in mailer envelopes. Sure, the figure itself will likely survive the trip, but part of a figure’s value is the packaging it comes in. Keep it pristine by shipping it in a box. And don’t use just any box you find. Old boxes can have dents and tears, compromising their strength, or other unseen problems like water damage. Your action figure’s packaging can suffer crumpling, denting or musty smells. Brand new corrugated boxes are the way to go. They’re strong and look great, which will make your customers very happy. 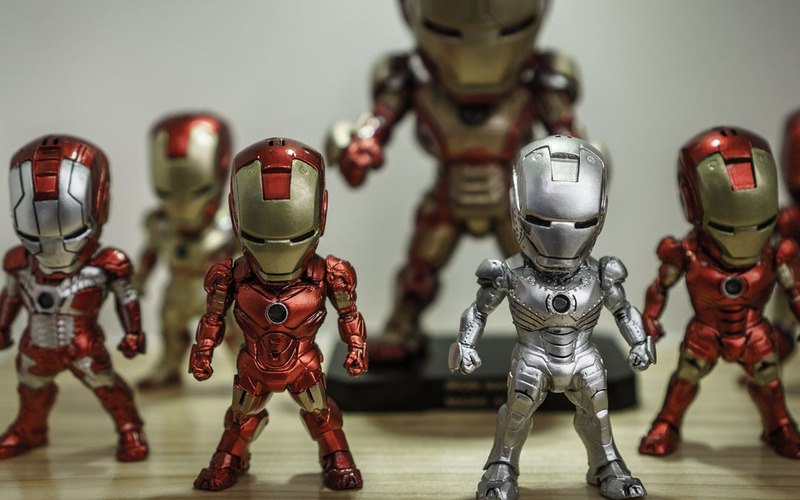 Because action figures come in all sorts of sizes, shapes and packaging styles, you’ll need to study your offerings and find something that fits them just right. Not too tight, not too loose. We suggest looking at multi-depth boxes if you’re shipping action figures of varying sizes. You’ll save money on packaging, and accommodate your figures much better. Use enough bubble cushion to properly cover your action figure without it getting lost in a formless bundle. Be careful when you wrap and fold the bubble, protecting corners and vulnerable areas. Use your best judgment when wrapping—don’t wrap too tightly, don’t wrap too loosely. And when you’re taping up the bubble cushion, tape it to itself. Never the action figure packaging. Line your shipping box with more bubble cushion, or whatever void fill you prefer—as long as it creates a cozy, safe nest for your action figures to rest in. Don’t forget to cover them over with more void fill, and perform a quick and gentle shake take to make sure the action figures aren’t moving. Nicely done. Load up a tape dispenser with some packing tape, and get down to sealing your boxes. Close the flaps and cover over the gap with a piece of tightly-applied tape. Depending on the size of your box, you might want to add a second piece for extra security. If you’re shipping action figures that might spend time in the elements, use the “H” taping method by covering not only the lengthwise gap between the top flaps, but also the gaps on the sides of the flaps. That’s an extra step that never hurts, and is always appreciated. Don’t forget to protect the address label with some clear tape so it doesn’t rip during transit. You’ve done almost all you can to protect your action figures. But once it’s in the postal system, it’ll basically be under siege from those who won’t care about its well-being like you do. If you’ve got the shipping budget, or if you’re shipping action figures that are particularly valuable, consider using the better delivery options. Though they cost a bit more, your figures won’t change hands quite so much, and they’ll be handled better on their travels. There’s a lot of excitement in selling toy and collectibles, not to mention a lot of pride in shipping action figures right. With these supplies and shipping tips from The Packaging Company by your side, you’ll have lots of success stories and seriously happy customers. Have fun!